AMD is quite done with their Zen and Zen+ processors with just a few processor families left to launch in the coming months. 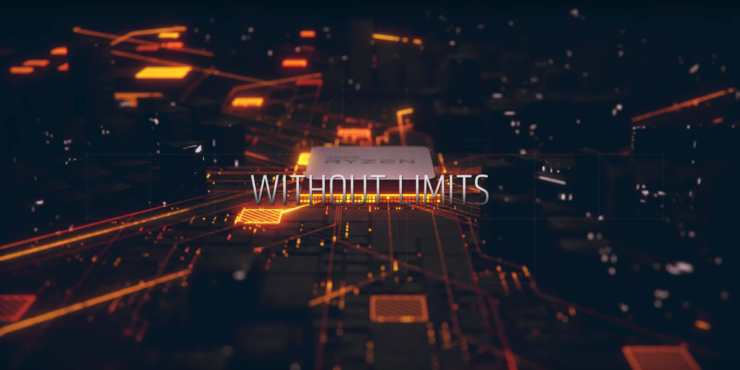 In the meantime, AMD is working on their next-generation, 7nm processors based on the Zen 2 core architecture. The new processors will be arriving early next year, sampling first to servers in 2H of 2018. Now, we are hearing new rumors from the Chinese forums which report what the Zen 2 based processors might look and perform like. While AMD hasn’t shared much information about their Zen 2 core yet, the latest rumor seems to point out what we should expect. Starting off with the performance expectations, the rumor alleges that Zen 2 will feature a 10% to 15% improvement in IPC (Instructions Per Clock). 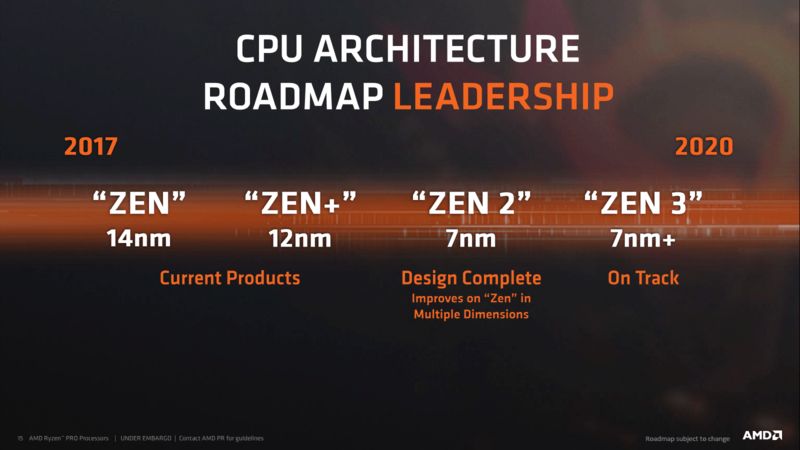 The IPC bump is over the current 12nm Zen+ based processors which delivered around 3% IPC increase over 14nm Zen. 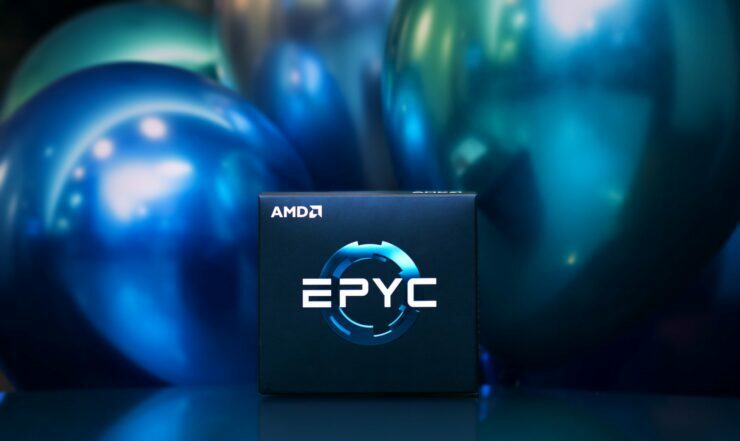 The Zen core itself was the biggest IPC increase for AMD, taking a jump of over 50% compared to their past CAT cores, all of which were revisions and tweaked variants of Bulldozer. A 10-15% IPC improvement can yield some good results considering we are also expecting to see some clock rate bumps in the next-generation processors too. That coupled with architectural changes and higher memory frequency support will end up delivering much better performance than current CPUs. According to this, the maximum core count on the AM4 platform will be upped from 8 cores to 16 cores. 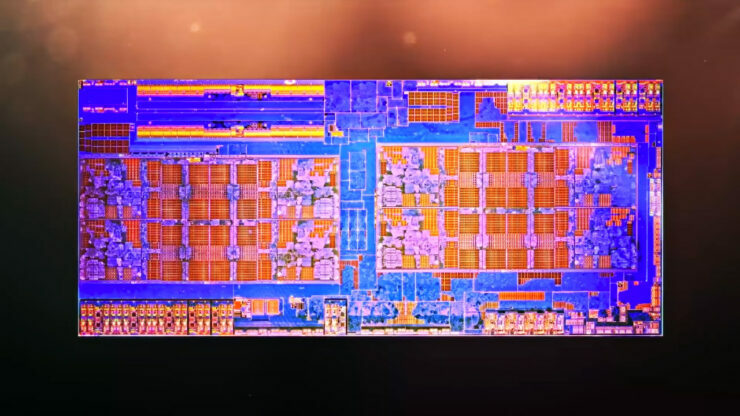 The TR4 platform will stick with the 32 core count as the upcoming 2nd gen parts (not likely to remain the same) and the server parts will get up to 64 cores from the current maximum of 32 cores. This points to an 8 core CCX as each die would make use of two such CCX’s. So it is easy to tell from this that AM4 would retain a single die design, TR4 will stick to four die layout and same for the EPYC chips. There’s also a rumor about there being two different Zen 2 designs, one with 8 core CCX and the other with 6 core CCX. But then again, that’s a rumor just like this one. 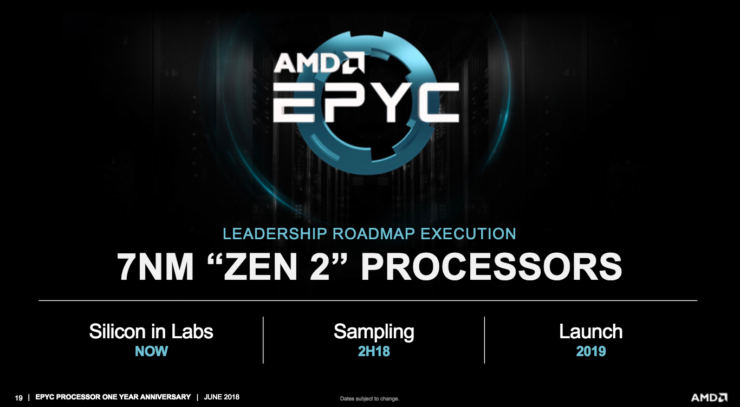 It will be interesting to see how everything pans out for Zen 2 but one thing is for sure, AMD is on a roll with their disruptive Ryzen, Threadripper and EPYC releases so expect Zen 2 to deliver the level of excitement as the first Zen processors. 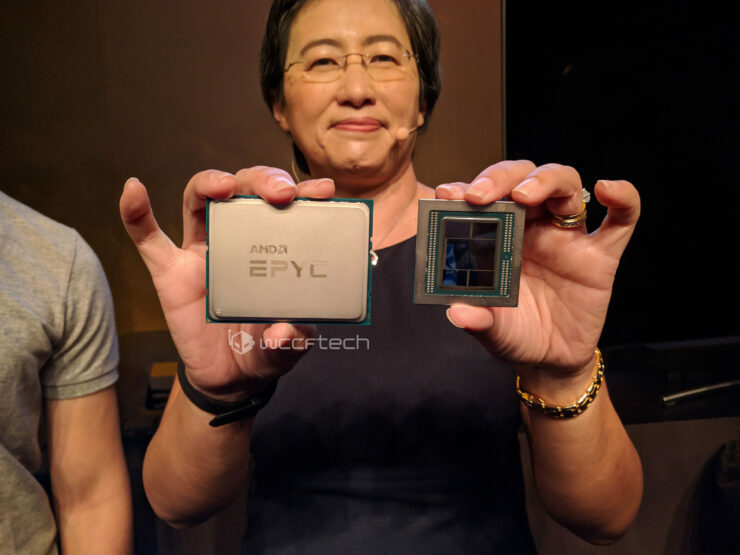 AMD is also saying that they are going to bring higher core count than ever before, more disruptive bandwidth and all of this will be available on existing sockets. So companies who were previously running 1st gen EPYC CPUs can just swap in the latest processors without the need to update platform. 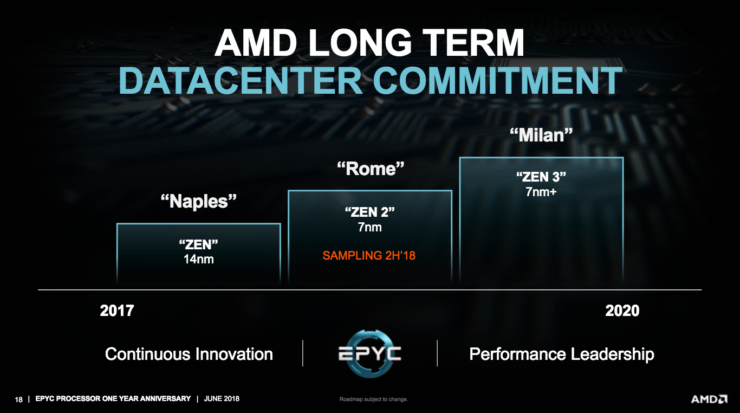 In addition to that, we can expect the 7nm+ Zen 3 based EPYC ‘Milan’ CPUs around 2020. But there’s more after Zen 3. 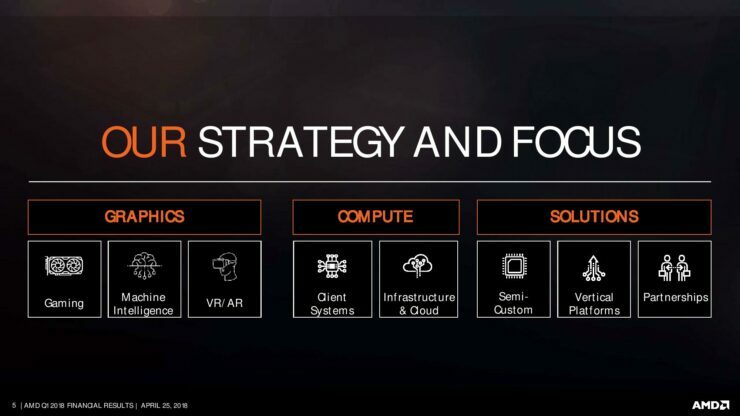 AMD also mentioned that they are going to bring Zen 4 and Zen 5 architecture based processors in the post-2020 era. 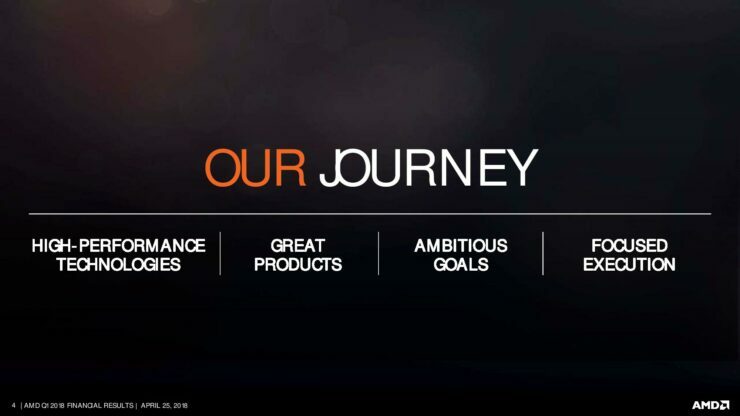 There were no details mentioned but it’s great to see that AMD is following a long-term roadmap which will make Intel think twice about their own roadmap which includes an entirely next-gen core architecture beyond 2020. What do you think of this rumor about Zen 2 dies having 8 core CCX? Sounds true, consistent with previous leaks/rumors. Doesn't look legit, will wait for official information. Don't know but the core jump looks nice.